Recent academic and medical initiatives have highlighted the benefits of studying culturally embedded healing traditions that incorporate religious and philosophical viewpoints to better understand local and global healing phenomena. Capitalising on this trend, the present volume looks at the diverse models of healing that interplay with culture and religion in Asia. Cutting across several Asian regions from Hong Kong to mainland China, Tibet, India, and Japan, the book addresses healing from a broader perspective and reflects a fresh new outlook on the complexities of Asian societies and their approaches to health. In exploring the convergences and collisions a society must negotiate, it shows the emerging urgency in promoting multidisciplinary and interdisciplinary research on disease, religion and healing in Asia. Drawing on original fieldwork, contributors present their latest research on diverse local models of healing that occur when disease and religion meet in South and East Asian cultures. 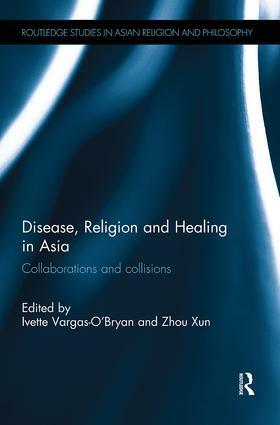 Revealing the symbiotic relationship of disease, religion and healing and their colliding values in Asia often undetected in healthcare research, the book draws attention to religious, political and social dynamics, issues of identity and ethics, practical and epistemological transformations, and analogous cultural patterns. It challenges the reader to rethink predominantly long-held Western interpretations of disease management and religion. Making a significant contribution to the field of transcultural medicine, religious studies in Asia as well as to a better understanding of public health in Asia as a whole, it will be of interest to students and scholars of Health Studies, Asian Religions and Philosophy.